Fosters for Small Dogs Needed! Please everyone, we need your help! The Bannock Humane Society is in desperate need of volunteer caregivers who are able to provide a safe and loving temporary home for a small dog. We are expecting to receive approximately 20 small rescue dogs and will need to increase our crew of foster caregivers by several to offer a safe home for these guys while forever homes are found for them. Please call ~ 208.232.0371 and leave your name and phone number. We’ll contact you with information. Thank you!! Finding yourself in the position of becoming a Foster Caregiver means reaching out with empathy and compassion for all living things; whether human or animal. 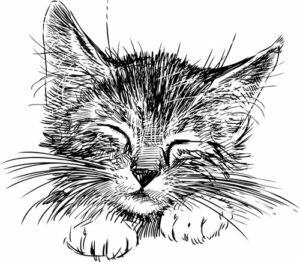 It is a deeply satisfying experience as related in this story from a foster family who found themselves caring for and loving a tribe of at risk kittens. We also need special supplies to care for the cats and kittens at Petco, and PetSmart. The cats love a treat (there never are enough), or a play toy to amuse themselves, and a fleece / flannel blanket to snuggle into. If you have small flannel or fleece cat blankets, or unused cat toys, and spare bags of cat treats, please give the BHS a call. We can certainly use them in providing a snug and safe place for the cats as they wait to be adopted and go home. Please contact the Bannock Humane Society at: 208.232.0371 or email at: bhs.idaho@gmail.com. email: bhsfosterprogram@gmail.com. We are happy to arrange a meet and greet for you along with the foster caregiver of the animal captivating your interest and the animal itself. We also encourage bringing the family along, which may even include a pet (cat or dog) you may already have at home. You will be able to speak directly with the foster parent of that animal. We offer you two public adoption opportunities. You are always welcome to join us at the Bannock Humane Society Building located at 850 Barton Road in Pocatello, Idaho on the second Saturday of each month between the hours of 12:00 & 4:00 p.m..
We are sorry but the Bannock Humane Society will NOT ship pets. If you do not live locally and want to adopt one of our wonderful pets, please contact us and make arrangements to come and visit us in person! We are fortunate enough at times to be able to arrange some transport assistance to close localities, but strongly feel a personal greeting is mandatory. We continue to offer a low cost adoption for cats in the amount of $35.00. This is made possible by a very appreciative supporter who left us a large donation set aside for this purpose. The adoption includes FIV testing, all shots, rabies vaccination and spay/neuter. Dog adoptions are $100. The Pets For The Elderly program supports pet adoptions for senior citizens ages 60 years and up. Seniors are able to bring their furry friend home for $50.00 and are limited to two of these senior adoptions in one year. Dogs also go home spayed/neutered, have all shots, and receive their rabies vaccination. Routine veterinary care including check-ups and vaccines. Adequate nutrition through proper diet, clean water at all times. Being responsible to properly control my dog by providing fencing where appropriate, not letting my dog run loose, and using a leash in public. I will ensure that my pet has some form of identification (which may include collar tags, tattoos, or microchip ID). I will be responsible for my pet’s quality of life. I will give my pet attention and playtime. I understand that adopting a pet is a commitment in time and caring. Remember our pets are not just a piece of property or a new piece of furniture but a living and LOVING creature that has feelings too. It is a proven fact that our pets are the only living things that care more about their owners than about themselves. The Foster Program at the Bannock Humane Society provides safety and a secure temporary homes to dogs and cats. One of the most important tasks for the BHS is to ensure that each and every at-risk pet who comes our way has a warm place to stay with food and love, before we are able to find them a forever home. Provide homeless cats and dogs with temporary shelter, food, and loving care. Provide assistance in placing a new pet with potential families. Ensure animals in the program receive their immunizations, spaying and neutering to provide a long healthy life. Foster Caregivers are extremely important! 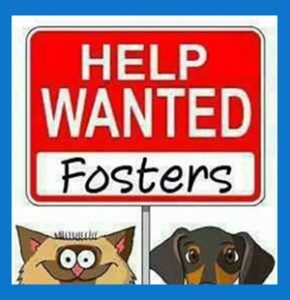 The Foster Program needs more caring people who are willing to take in a dog or cat until a new home can be found. Please contact us if you are that very special person, a Foster caregiver.